Video interviews are a great way to interview candidates when you’re traveling, interviewing those who live out-of-state, or when you simply have a large number of candidates you want to screen. It can be difficult, but with modern technology, hiring managers do not need to be where the candidates are, or even at the office. 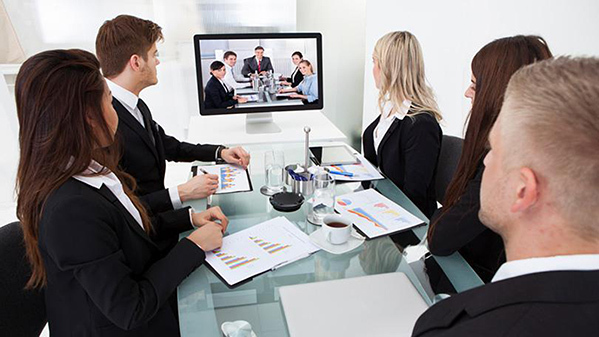 The question is, how do you get the most out of your one-way video interviewing process? Set a deadline. Since you won’t be on the video call with the candidate, you should set a deadline for when they must submit the completed video. Allowing the candidate up to three days to submit their video is a modern way many organizations are conducting their first round of interviews including large MNEs. Set a time limit. Some interviewees are talkative. Anticipate nerves and overstating points and set a time limit on the length of one-way video interviews. I good rule of thumb is 5 – 10 minutes if you’re just prescreening candidates. If the position is a bit more in-depth, perhaps 15 to 30 minutes may be best for your firm. Prepare a short list of questions. Send a few questions in advance to all candidates so that they have a chance to review and prepare for them. With the questions in advance, they are able to provide succinct and clear answers. Ample preparation on both sides allows for the best experience. Create a review process. If more than one person will review and rate the one-way video interviews, make sure the review team is aware of a process that is streamlined. You remember KISS, right? Keep it simple, s**. Provide each reviewer with a simple form to fill out – like a scorecard- with the questions for the candidates, a one to five scale (one being not satisfactory to exceeds expectations – or something to that effect) and additional space to jot down thoughts, comments, or follow up questions for the candidate (if they are called back). Leverage technology. If you’re screening a lot of candidates via a one-way video interview, use tech tools that make it easy for candidates to upload video to a cloud. It should also be easy for you to access and stream their video responses. One-way video interviews give busy firms the opportunity to quickly and easily screen candidates regardless of their location or time-zone. With the rising costs of recruitment, one-way video interviewing can help firms save Op-Ex costs (travel, time spent, and other related resource costs). Subscribe to the Leopard Blog for discussions about lowering Op-Ex cost, law firm management, diversity, law firm insights, and other relevant topics.